Consider this a sneak peek. An apertif if you will, something to get you charged up for the fall riding season. It involves REV'IT! and it involves GORE-TEX. We have our hands on it and we've done some HD video reviews for you. REV'IT! has teamed with GORE-TEX to create the most waterproof, breathable all-season all-weather ADV Touring motorcycle gear on the market. Period. Whether you're inclined to 12,000-mile Florida-to-Alaska-and-back rides or a 500-mile Colorado adventure ride in the summertime, the new REV'IT! GTX lineup has you covered. 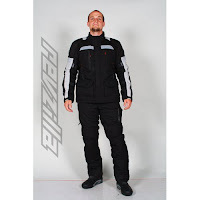 Motorcycle jackets, pants, gloves and base layers that all feature the detail-oriented design and technologically-advanced construction we've grown accustomed to from REV'IT! with the added benefit of the GORE-TEX OnRoad Certification and technology. Consider this our overview of the 2010 REV'IT! GORE-TEX gear lineup. The first video we'll feature is the REV'IT! Defender GTX GORE-TEX Jacket & Pants. 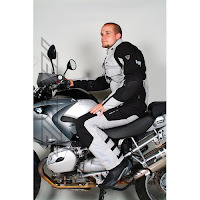 Think of the Cayenne Pro outfit, the top pick for every ADV Touring motorcycle rider that faces all levels of precipitation in vastly differentiating temperature ranges. Take the Cayenne Pro and add a removable highly waterproof breathable GORE-TEX membrane. You have an outfit that takes it to the next level. The REV'IT! Defender GTX GORE-TEX Jacket is $749.99 and the REV'IT! Defender GTX GORE-TEX Pants are $599.99. Moving down the line, REV'IT! is offering the Legacy GTX Jacket & Legacy GTX Pants. The Legacy GTX outfit is built for the serious ADV touring rider looking for gear that can be worn four-seasons but will truly shine in late summer through late spring. Featuring GORE-TEX Performance Shell built into the outershell ensures that whether the thermal liner is in or out, you will remain protected from the elements due to the built in waterproof layer. The REV'IT! Legacy GTX GORE-TEX Jacket is $549.99 and the REV'IT! Legacy GTX GORE-TEX Pants are $399.99. The REV'IT! Orion GTX GORE-TEX Gloves are built for the experienced commuter and serious touring rider. The REVIT Orion utilizes a 1000D ripstop Cordura outershell, a goatskin palm and the waterproof breathable GORE-TEX membrane to combine and create a great option for winter comfort and protection. With beefed up PU protection and subtle details like a visor wiper, the REVIT! Orion GTX Glove is a great winter option. 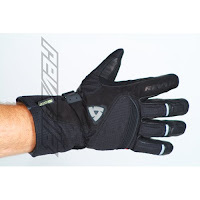 The REV'IT Orion GTX Glove is $149.99. 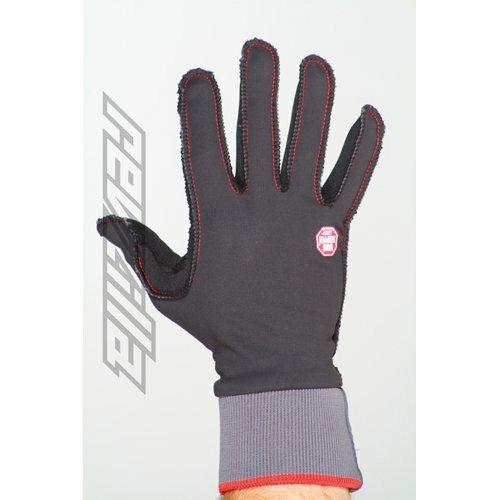 Teaming with GORE-TEX has allowed REV'IT! 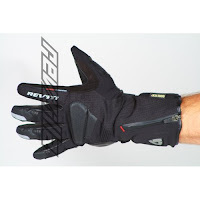 to create their most impressive winter glove to date, the REVIT! Bastion GTX GORE-TEX Glove. With the highest level of waterproofing and breathability offered by the GORE-TEX membrane, the REV'IT Bastion GTX combines with advanced fabrics and protective qualities to create a super-light extremely protective winter glove. The REV'IT! Bastion GTX Glove is $189.99. Lastly, and this is very much a sneak preview since it won't be released until March 2011, is the REV'IT Everest GTX Jacket & Pants. The REVIT! Everest GTX outfit is the true confluence of REV'IT design and GORE-TEX demands in terms of waterproofing and breathability. The outer shell construction is all GORE-TEX materials, utilizing the newest and most durable fabrics from a brand known for quality in weatherproofing. The REV'IT! Everest GTX GORE-TEX Jacket is $979.99 and the REV'IT! Everest GTX GORE-TEX Pants are $739.99. Be sure to check out live.revzilla.com for Photo Galleries as we post them and our RevZillaTV YouTube Channel for the rest of the video lineup.